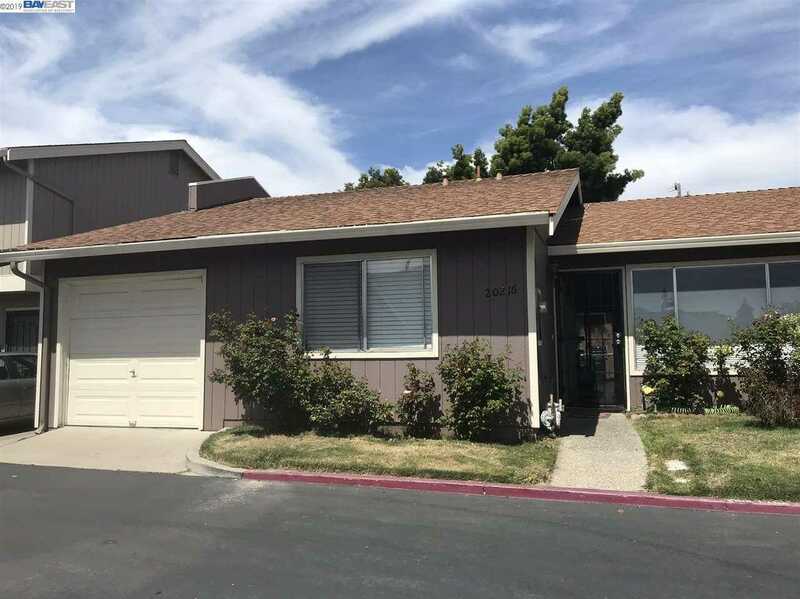 Courtesy of Soosan Rod, Legacy Real Estate & Assoc..
NICE AND CLEAN 3 BED/ 2 FULL BATH, 1 ATTACHED GARAGE TOWNHOUSE ON A VERY GREAT LOCATION WITH EASY ACCESS TO SHOPS, RESTAURANTS, PARK & FWY. CONVENIENTLY BART LOCATION. ONE STORY. UPDATED KITCHEN WITH GRANITE COUNTER TOP, EXTRA CABINETS, LAMINATE FLOOR, UPDATED BATHROOMS WITH TILE FLOORING. NICE SIZE OPEN PATIO FOR ENTERTAINING AND RELAXING. TENANT BOUGHT A HOUSE AND PROPERTY TO BE VACANT. SHOWS VERY NICE. OPEN HOUSE SATURDAY & SUNDAY 4/20 & 4/21 FROM 12:00 TO 3:00. DON’T MISS IT! !